Australia to double ethanol production ? ReNew Economy reports that a ethanol and cogeneration plant is to be built in Queensland that will almost double biofuel production in Australia - Huge, $800m bio-energy project in Queensland gets boost from ARENA grant. Global biofuel production is still increasing at a reasonable clip (in the the 5% to 10% per annum range - well under the growth rate for solar and wind power but respectable nevertheless). It seems this is the year we need to endure the tedium of 2 elections, with Australian PM Malcolm Turnbull engineering a double dissolution election for the middle of the year as a predecessor to the awful spectacle unfolding in the United States. I did have high hopes for Malcolm, as whenever he isn't in charge of the party he acts and talks like an intelligent, decent man. And I must admit I did greatly enjoy his revenge on his utterly incompetent predecessor Tony Abbott last year (Abbott having stabbed Turnbull in the back over the carbon tax several years earlier). However Turnbull seems to have squandered all of his political capital trying to avoid any conflict with the far right of his own party, thereby dashing the hopes of the moderate centre of the country who provided him the poll support he needed to topple Abbott, and now trails in the polls after having a massive lead 6 months ago. Climate is starting to figure in the election campaign, with Labor's support for a new emissions trading scheme and renewed funding for renewable energy institutions, provoking another hysterical campaign from the government (egged on by the morons at The Daily Terror). ReNew Economy notes the government's policy on renewables is one step forwards, two steps back and quotes some interesting comments from Ray Kurzweil (good to see someone understands exponential growth - I've been baffled at how many "experts" still seem to think fossil fuels will be important in 20 years time). Ray Kurzweil, the futurist who has made a host of noteworthy predictions, including the uptake of the internet, says he expects solar to become the dominant energy source within 12 years, pointing to the repeated doubling of solar’s share of energy production every two years. 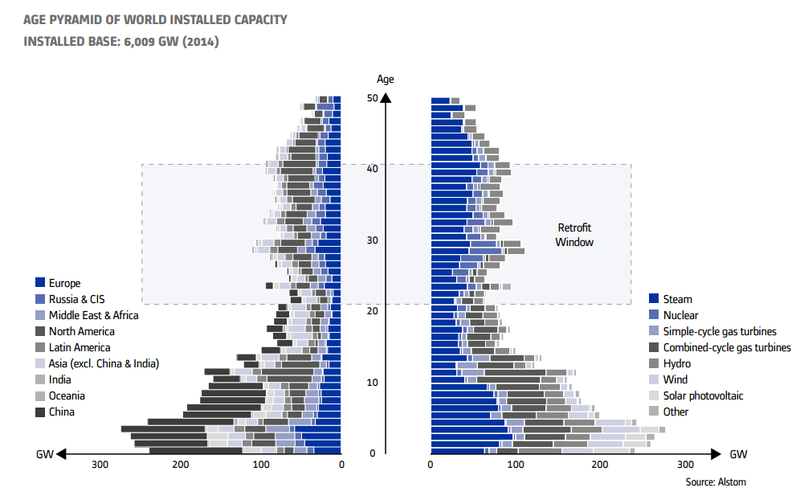 “In 2012 solar panels were producing 0.5% of the world’s energy supply. Some people dismissed it, saying it’s a nice thing to do but at a half percent is a fringe player. That’s not going to solve the problem,’” Kurzweil said at a recent forum. “They were ignoring the exponential growth — just as they ignored the exponential growth of the internet and human genome project. Half a per cent is only 8 doublings away from 100%. Not everyone is ignoring it. Oil major Total last week announced it was creating a new division focusing on renewables and “electricity” rather than transport fuels, with a goal to be one of world’s top three solar producers. As usual, this journal recommends voting for a Green or a feisty independent - neither of the big parties ever do anything meaningful about climate or renewable energy unless they are forced to. Michael Pascoe at the SMH has a look at the rapid increase in carbon emissions from Victoria's brown coal power plants (dubbed "museum pieces" by visiting Chinese engineers) since the scrapping of the carbon tax - Brown coal: counting the cost of burning mud. Apparently the state government is now looking to impose it's own coal tax to replace the national carbon tax which might help cap emissions while we wait for these antiquities to be closed down. The Guardian reports that "global temperature in March has shattered a century-long record and by the greatest margin yet seen for any month" - March temperature smashes 100-year global record. South west Iceland apparently had a nice cool spell though. 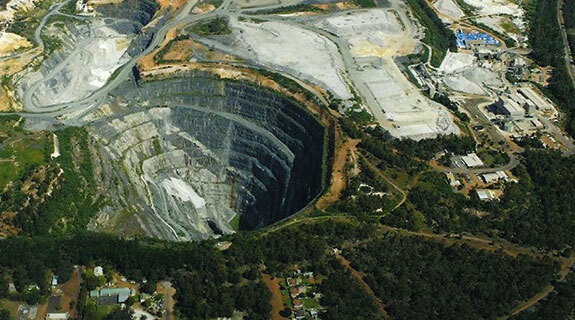 While the Australian mining boom is now receding in the rear view mirror, one mining sector that is still attracting enthusiastic investment is the lithium mining industry. Western Australia currently produces about 30% of the world's lithium supplies, and 20 new companies are scrambling about the state trying to take advantage of the boom in "white oil". WA Business News has an article on the evolving market for the metal, looking at producers in Australia and South America - A Window opens for lithium hopefuls. The investment frenzy may have already reached a peak locally however, with some investment columnists warning there aren't any bargains left in the sector - Ten years on, lithium may as well be uranium and This 'new gasoline' could burn eager investors. The Economist also has a look at the soaring demand for lithium, with some interesting tales from Chile as the jostling begins to supply the expanding battery market for electric vehicles and home energy storage - An increasingly precious metal. SQM, Chile’s biggest lithium producer, is the kind of company you might find in an industrial-espionage thriller. Its headquarters in the military district of Santiago bears no name. The man who for years ran the business, Julio Ponce, is the former son-in-law of the late dictator, Augusto Pinochet. He quit as chairman in 2015, during an investigation into SQM for alleged tax evasion. (The company is co-operating with the inquiry.) Last month it emerged that CITIC, a Chinese state-controlled firm, may bid for part of Mr Ponce’s controlling stake in SQM, as part of China’s bid to secure supplies of a vital raw material. The focus of CITIC’s interest appears to lie on a lunar-like landscape of encrusted salt in Chile’s Atacama desert. It is a brine deposit washed off the Andes millions of years ago, containing about a fifth of the world’s known lithium resources. 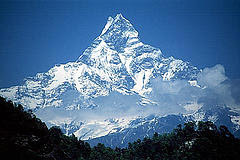 (Even more are in adjacent Bolivia but they are mostly untapped). Just weeks before, CITIC had bought a stake in a Hong Kong electric-vehicle maker that uses lithium-ion batteries, indicating its growing interest in clean-energy technologies. The sleeping giant of lithium production is Bolivia, which by most estimates possesses the largest reserves of the metal. Evo Morales has announced a $1 billion investment push to kick start production, expanding links with Chinese companies to both extract the material and produce lithium ion batteries in the country - Bolivia’s lithium boom: dream or nightmare?. Lithium production will clearly need to expand given the pre-sales for the Tesla 3 are now approaching 4000,000 vehicles and projected sales would consume all of world's lithium production at current levels - Rising Lithium Prices Threaten to Short-Circuit EV Market. The Chevrolet Bolt is also due out on the market this year, putting further pressure on supplies. One way to boost production is to improve the efficiency of extraction processes. CleanTechnica has an article on improvements on extracting lithium from brine - New Method Of Extracting Lithium From Natural Brine Yields 99.9% Purity. Technology Review has a look at First Solar's efforts to improve thin film solar power panels - How First Solar Is Avoiding the Industry’s Turmoil. They are touting both better solar conversion efficiency (up to 24% in the lab vs 20% for silicon) and lower prices (60 to 70 cents per watt to manufacture vs 69 to 80 cents for silicon) than silicon panels as the reason for their success. The Economist has an article on how "Solar power is reshaping energy production in the developing world" - Follow the sun. 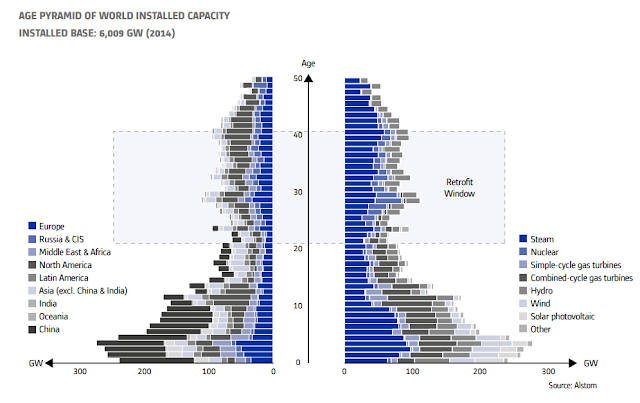 The article notes "In sunny places solar power is now “shoulder to shoulder” with gas, coal and wind" in terms of cost - hence the rapid uptake in countries with expanding electricity consumption. Inhabitat has a post an a rather ambitious proposal to build a gigantic wooden skyscraper over London's Barbican centre (in stark contrast to the concrete brutalism of the other structures on the site) - World’s tallest timber skyscraper proposed for London. Presumably this is just a concept rather than a serious proposal - but there is a certain attraction to enormous wooden structures arising from the urban jungle. 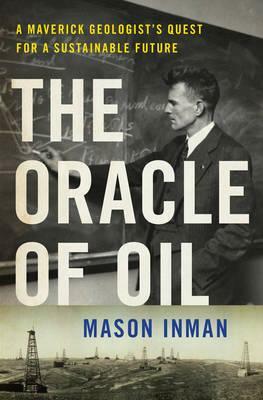 Mason Inman emailed me recently to inform me that he has had a book published on M King Hubbert called The Oracle Of Oil. Apparently the inspiration for the book was my long ago article at The Oil Drum. I haven't had a chance to read it yet but there is a review up at Nature Energy. Peak meat may have occurred in the US already, however even the steadily increasing population of vegans and vegetarians that walk amongst us occasionally have a craving for something that looks and tastes like meat. As a result interest in artificial meat remains high. MIT TEchnology Review has a look at the current state of the market, looking at a startup called "Beyond Meat" - The Problem with Fake Meat. The key problems to solve at this point are making the texture of the "beast patty" acceptable to the tongue and developing substitutes to soy (now mostly GMO) for the raw substrate. It has been a few years since I last paid any attention to the ECat /LENR cold fusion saga, however Tom Whipple's latest column (The Peak Oil Crisis: A Bizarre Twist) caught my eye this week. Apparently Andrea Rossi found an American company called Industrial Heat willing to pay him if the technology could be successfully tested over a 350 day period. The company ended up deciding the test was a success (though there seemed to be some problems with too much energy along the way) and made the initial payments, however there is now a dispute over whether or not the remaining licence payments need to be made, with Whipple speculating this is because Rossi is now claiming he has an even better version of the technology under development. A cynic might think all this light and noise is being generated to draw investors into the process like moths to a flame, however I guess we can all hold our breaths and wait for another decade or two to see if this really is a viable means of generating power. I quite like this clip of an interview with Uruguay's rather unusual ex-president Jose Mujica. 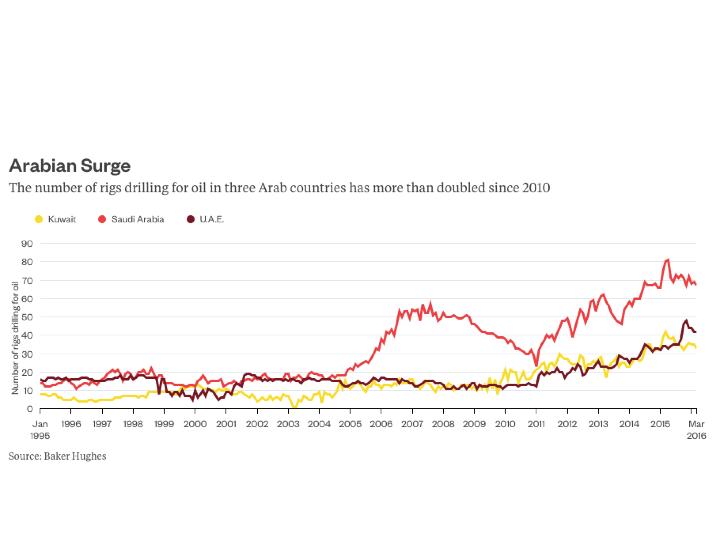 Julian Lee at Bloomberg has a look at Saudi Arabia's rapidly growing drilling program and their efforts to grab back market share - Saudi Oil Gambit Moves to Phase Two. 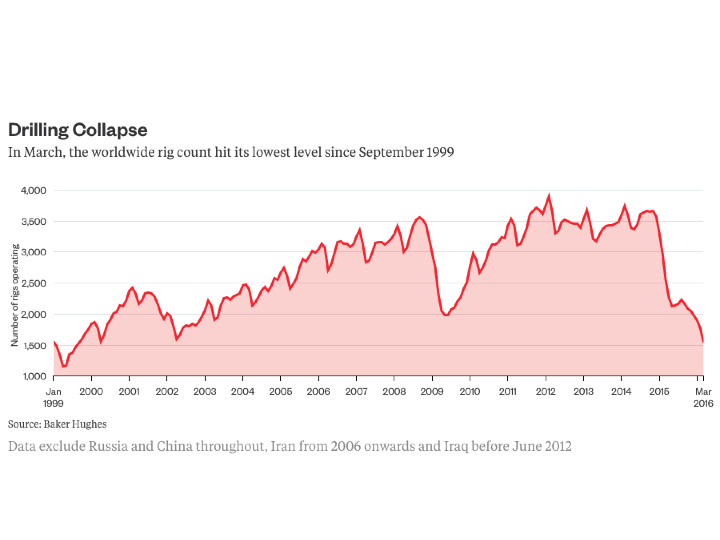 10 years on for the great surge of peak oil speculation, it has been interesting to see that Saudi Arabia and Russia have both managed to maintain (and expand) production of conventional oil. The US managed to attain its own peak of production once again off the back of unconventional oil extraction but the article notes even that is falling off again (by around 600,000 barrels per day so far) now new drilling has almost stopped in the shale regions. The article notes that Saudi Arabia is expanding the Shaybah field by 250,000 barrels a day and Khurais by 300,000 barrels as part of an effort to build production capacity of more than 12 million barrels per day - 2 million barrels above its current rate. Kuwait also plans to raise production capacity to 4 million barrels by 2020 and Abu Dhabi to up production capacity to 3.5 million barrels a day by 2017. In a slightly older article, Bloomberg also made some comments about speculation that Saudi Arabia may float part of Aramco - "don’t forget the warnings given by Saudi Arabia’s petroleum minister just over a year ago that global oil demand growth may face a "black swan" in the next few decades. Viewed through that lens, the policy of pumping more barrels out now looks like not merely a strategy to maintain market share but also to simply monetize reserves that might otherwise be left to mire underground" - Saudi Aramco's Fire Sale. The Independent reports that Venezuela has abruptly shifted to a 4 day working week as a result of electricity shortages caused by drought impacting the available supply of hydro-electricity - Venezuelans get Fridays off for two months in emergency plan 'to save energy'. A Renewable Supergrid in Russia ? IEEE Spectrum has an article on a report by the Neo-Carbon Energy Research Project in Finland on how to transition Russia and the Central Asian republics to 100% renewable energy at an acceptable cost - A Renewable Supergrid in Russia. They don't view this as remotely likely given the relative lack of interest in renewables in that part of the world but they wanted to show that 100% renewables was feasible throughout Eurasia. Bloomberg has a report on the massive growth in renewable energy and the steady marginalisation of fossil fuels - Wind and Solar Are Crushing Fossil Fuels. The article notes that even with low oil, gas and coal prices, renewable energy investment has still powered ahead. This last graph is interesting, showing how much power is generated in the UK from coal - things are almost back to where they were at the start of the industrial revolution. The ABC's Catalyst program has a good episode on battery technologies and how they are being used in Australia - Battery Powered Homes. 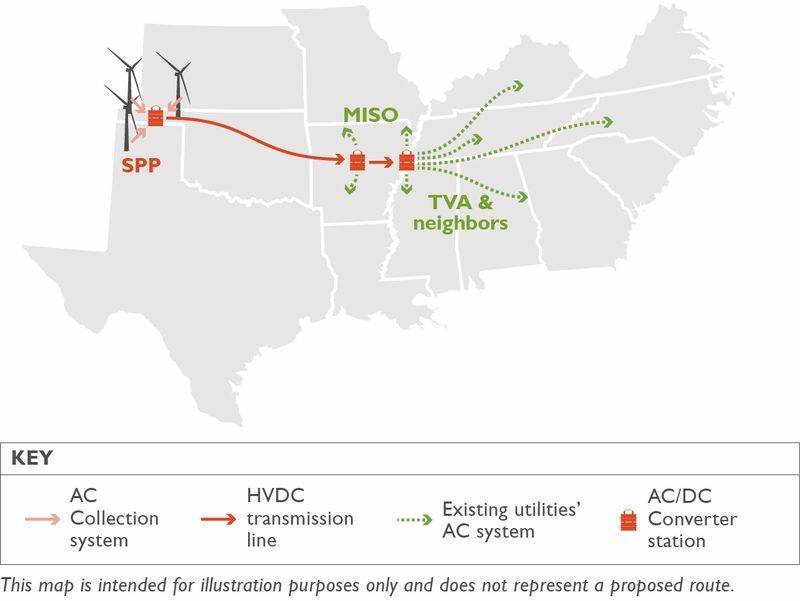 Dave Roberts at Vox has an article on the Plains and Eastern Clean Line, a high-voltage direct-current (HVDC) power line that will extend from western Oklahoma to western Tennessee, enabling abundant wind power to be sent the populated east - This new transmission line will help unleash wind energy in the Great Plains. One down, dozens to go. 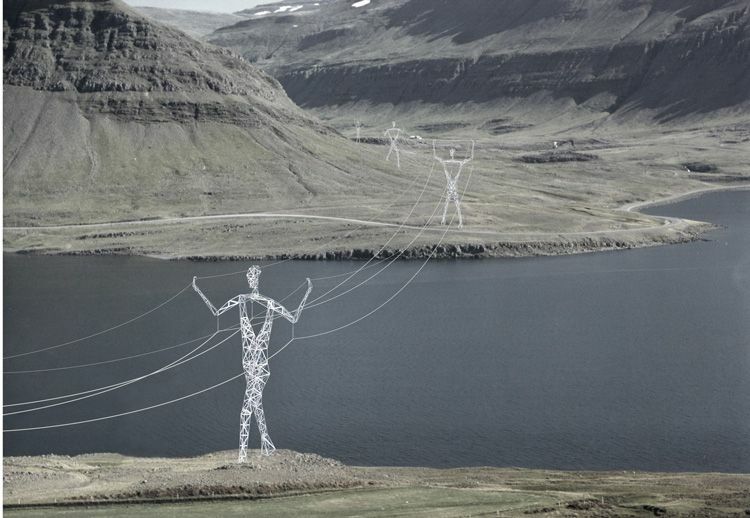 Expanding the grid to better interconnect renewable energy rich producing regions with energy poor consuming regions is the aim of Bucky Fuller's Global Energy Grid proposal, so it's good to see some of these connectors slowly being put in place. 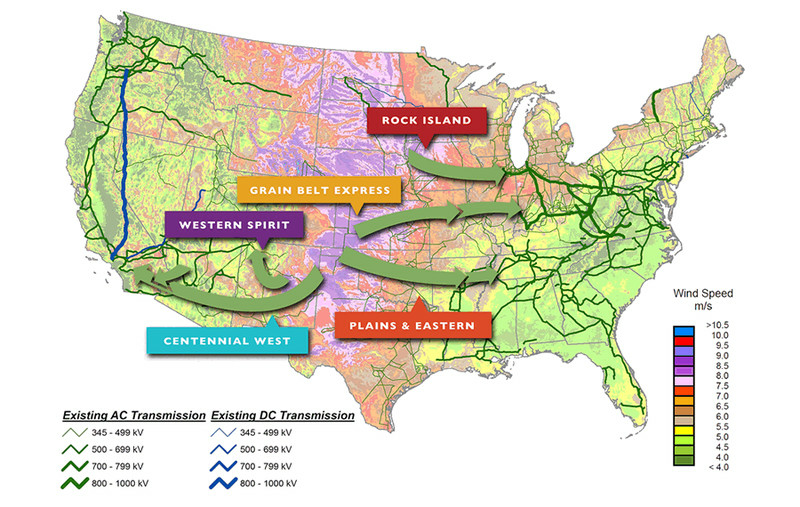 Dave's article includs links to 2 newer global energy grid proposals - one at Renewable Energy World and another at IEEE Spectrum. The Guardian has a report on a new estimate of the cost to clean up the waste generated by Europe's nuclear power industry - Europe faces €253bn nuclear waste bill - noting there is a rather large funding gap between the amount of money allocated for clean up and the amount required.